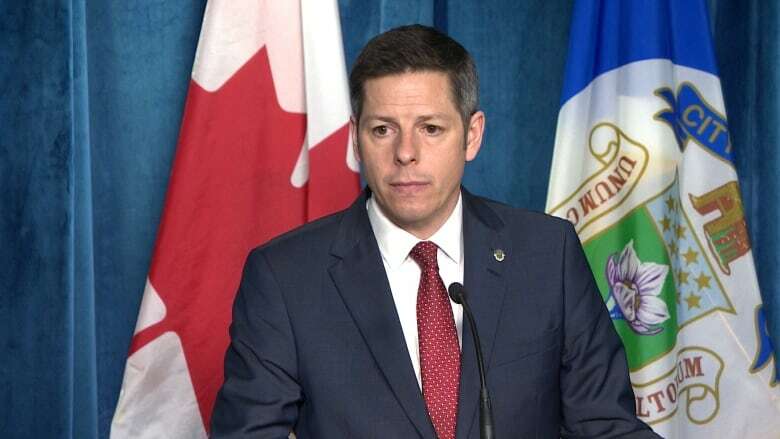 Mayor Brian Bowman is repeating his call for a provincial public inquiry into the decision making that led to real estate, procurement and construction scandals at Winnipeg city hall. Mayor Brian Bowman has renewed his call for a provincial public inquiry into the real estate, procurement and construction scandals at city hall, following the revelation of another land deal involving Winnipeg's former mayor and a developer. CBC News reported Tuesday that months after leaving office in 2014, former mayor Sam Katz bought land in Arizona with his friend and former city top bureaucrat Phil Sheegl and the U.S. division of Winnipeg developer Terracon. That company worked on major city projects such as the consolidation of five public works yards and the eastern extension of Chief Peguis Trail. In 2017, city council called on the province to launch a formal commission of inquiry into the construction of the Winnipeg police headquarters. The Bowman-sponsored motion also called for an investigation into what it described as "other significant civic projects" and transactions that were the subject of three external audits, an RCMP investigation and considerable media attention. The audits, completed in 2013 and 2014, examined projects and transactions that included the construction of four new fire-paramedic stations, the purchase of the former downtown Canada Post complex and its conversion into a new police headquarters, and 33 city real estate deals. 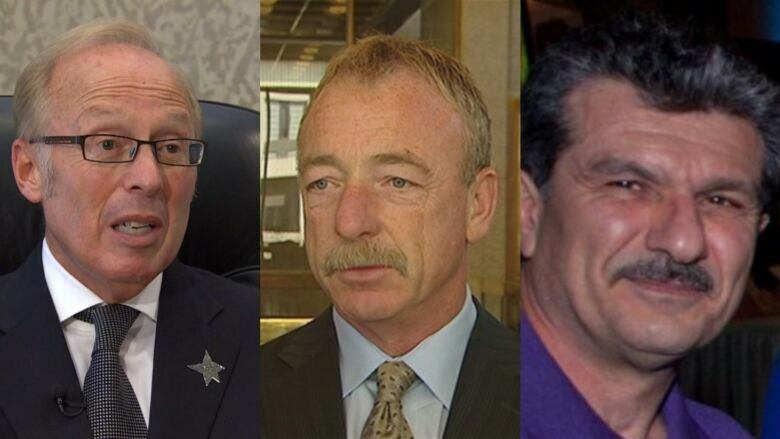 The RCMP also launched a criminal investigation into the police HQ construction project, while questions emerged about business relationships between former Katz, Sheegl and police HQ contractor Armik Babakhanians. Bowman said Tuesday said he was "not very" surprised to learn what he described as more information. 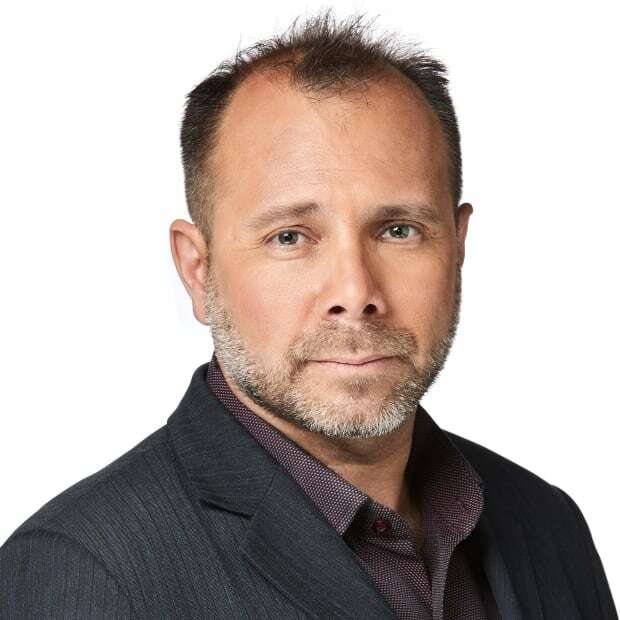 "I also continue to call on the provincial government to call a public inquiry, something that would complement the ongoing work of the RCMP and something we've seen in other jurisdictions," Bowman said following an executive policy committee meeting, adding all members of council, except for Janice Lukes, supported the inquiry call. "I think there are a lot of unanswered questions that we don't have answers to and that's why I continue to call for a public inquiry." That call, he said, was "obviously directed at the police headquarters but also it was a broader scope, what we're asking for. I think it would go a long way." Bowman said a public inquiry could gather information the city cannot gather itself from former employees. The mayor also said the city has undertaken a number of measures "to restore trust and confidence in Winnipeg city hall," including the establishment of an integrity commissioner and pushing the province for a cooling-off period for former city officials. Premier Brian Pallister has previously said he is unwilling to call an inquiry while the RCMP continues to investigate the police headquarters construction project. On Tuesday, Manitoba Justice reiterated this opposition. "We understand the mayor's concerns. The issues surrounding the Winnipeg police headquarters project have been referred to the RCMP for review and we await the results of that referral," the department said in a statement. "As a result, it would be premature to speculate about a potential inquiry. We'll continue to monitor the situation and wait until the facts are determined." The RCMP has been investigating the police-headquarters construction project since December 2014, when it raided the offices of police HQ contractor Caspian Construction and announced the start of a criminal investigation code-named Project Dalton. That investigation initially focused on fraud and forgery allegations involving Caspian owner Armik Babakhanians. It later expanded into allegations of a $200,000 secret commission paid by Babakhanians to former Winnipeg CAO Sheegl. No charges have been laid as a result of Project Dalton and none of the allegations against Sheegl or Babakhanians have been proven in court. The police headquarters project was also the subject of a July 2014 audit by consulting firm KPMG, which concluded the city failed to effectively manage the purchase of the former Canada Post complex on Graham Avenue and its conversion into a new home for the Winnipeg Police Service. City council approved the project in 2009 at a total cost of $135 million. It has cost the city no less than $214 million, thanks to cost overruns and change orders. The KPMG audit also examined the manner in which Sheegl awarded a "guaranteed maximum price" construction contract, originally valued at $137 million. Caspian was initially awarded a $50,000 consulting contract. Council voted in July 2011 to grant Sheegl the authority to award the final contract, which happened in November 2011. "From our documentation review, we understand that council did not formally approve a recommendation to enter into this contractual arrangement," KPMG stated. The purchase of the Canada Post complex was also the subject of a separate July 2014 review by the consulting firm EY, formerly Ernst & Young, which looked at 33 city real estate transactions. EY concluded the city didn't conduct an independent appraisal of the former Canada Post tower and warehouse prior to spending $29.25 million on the complex.The auditors said it's unclear if the city received value for its money, and said the city did not appear to consider any other site for the police HQ. "A comprehensive procurement process was not undertaken and for a facility of this size and magnitude should have been considered," the auditors wrote. The police HQ purchase was one of five transactions scrutinized in detail by the 2014 EY real estate review. 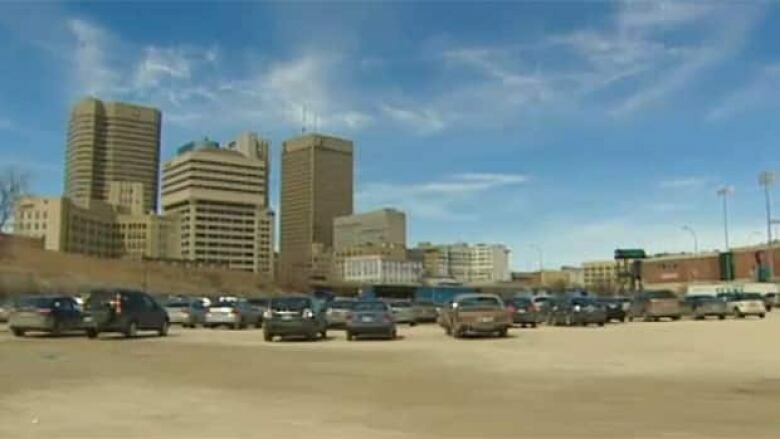 The auditors also looked intensively at the Parker land swap in 2009, the sales of the Winnipeg Square Parkade in 2009 and Canad Inns Stadium site in 2012, and the proposed sale of Parcel Four — a surface parking lot near The Forks — in 2012. 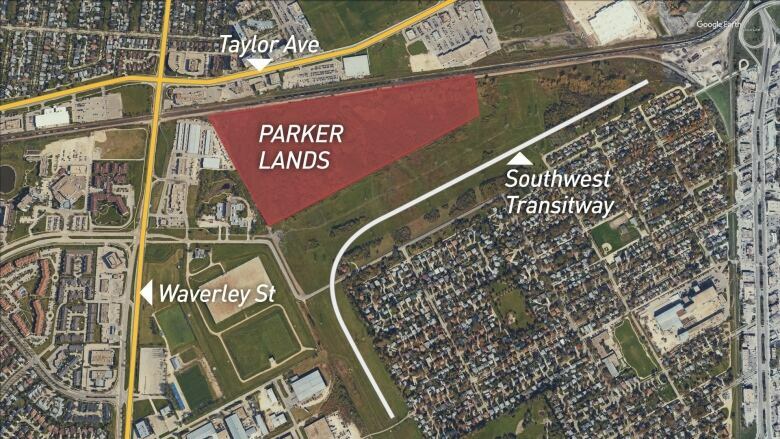 The Parker land swap saw the city exchange 24 hectares of unserviced land in Fort Garry for 3.6 hectares of serviced Fort Rouge land owned by developer Andrew Marquess. The auditors found city appraisers stated the Parker land "was not inspected" or properly appraised and described the values they provided to senior officials as estimates intended only for internal use. The appraisers described their valuations as a "rush job" because "time constraints were not reasonable to permit a proper investigation and analysis." 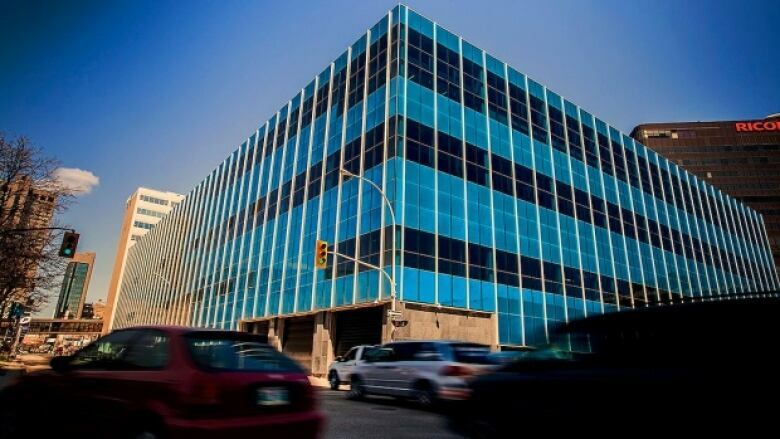 The Winnipeg Square Parkade sale was a $24-million deal where the city sold off the underground parkade to the real-estate investment trust that owned Winnipeg Square. Shindico Realty received a $400,000 commission for the sale. EY concluded city officials didn't tell council that Shindico represented both parties in the sale, acting first for the city and then for the buyer. EY also noted the city provided one potential Canad Inns Stadium buyer with the site plans four months before it entertained offers to develop the land. The city also provided one potential buyer with a copy of the expression-of-interest document before it was issued. The city eventually sold the former home of the Winnipeg Blue Bombers for $30.25 million to a partnership between Shindico Realty and Cadillac Fairview. EY also scrutinized the city's proposed sale of Parcel Four to Canalta, an Alberta hotel and water park developer. While the $5.9-million sale did not proceed, the auditors found council was kept in the dark about the value of the land. "One appraisal, which valued the property at $10 million, based on its highest and best use, was not included in the administrative report presented to council," the auditors wrote. "The second appraisal, valuing the property at $5.9 million, was referenced in the administrative report; however, this appraisal was based on the limited use of the lands being a hotel, water park, and parkade." 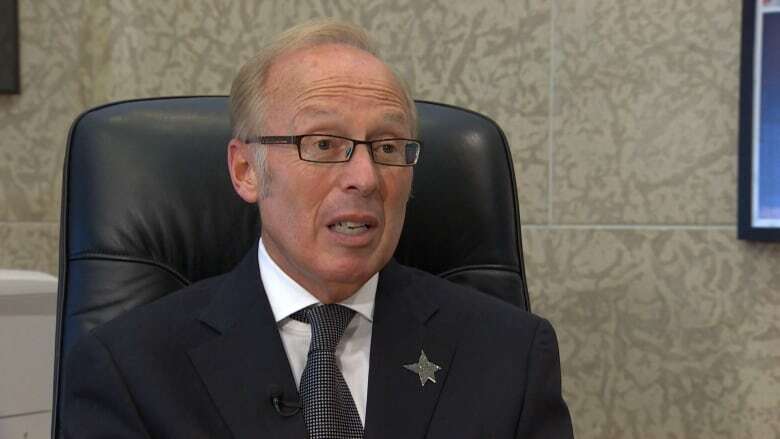 Former Winnipeg CAO Sheegl dismissed the real estate review as a "witch hunt," while former mayor Katz said the auditors did a poor job with the review. The third audit to raise questions about real estate and construction oversight at city hall was a 2013 EY review of the construction of four new fire-paramedic stations in Winnipeg for nearly $18 million. The construction program included a proposed three-for-one land swap that would have given Shindico Realty possession of two vacant fire-paramedic stations and a city-owned parcel of land on Mulvey Avenue in Fort Rouge for a parcel of Taylor Avenue land that now houses the new Station No. 12. The land swap did not proceed. The EY audit cited issues with the award of contracts and cited Sheegl as the official responsible for oversight of the project. "Significant issues existed which bring into question the openness and fairness of the processes used," the report said. Not subject to any audit were a series of transactions involving former mayor Katz and former CAO Sheegl. In March 2012, Katz has purchased an Arizona-based shell company from Sheegl when the latter was the city's chief administrative officer. He then flipped the company, named Duddy Enterprises, back to Sheegl in October of that year. In August 2012, Katz purchased an Arizona home from the sister of Diane Shindleman, Shindico's chief financial officer at the time and the spouse of Shindico president Sandy Shindleman. The purchase price was not disclosed, but Katz said he spent more than $1 million on the property. Also in 2012, Caspian president Babakhanians provided Katz with a $127,200 cheque. Katz's lawyer, Robert Tapper, said this was part of an Arizona land deal and said Katz gave half the money to Sheegl. "The reality is that this was a land deal. It was as simple as that," Tapper said in an interview in January 2017. Tapper gave CBC News a copy of a handwritten trust agreement, signed by Sheegl and Babakhanians, where the Caspian owner agreed to pay $327,000 Cdn for a partial interest in a piece of Arizona land. Tapper said his clients made the deal verbally with Babakhanians in 2011 but only got around to putting it on paper the following year. Tapper said this spring that the business relationship between Katz and Sheegl has been reported on in the past and Katz is no longer mayor. "We knew all along that Sam was doing land development in Arizona," Tapper said in an interview in 2017. "We knew all along that Phil was doing land development in Arizona. We knew all along that the two of them are friends and did deals together. Is that a surprise?"